Such a beautiful day it turned out to be for a beautiful couple. Speaking of beautiful, the whole day was perfect and very beautiful in its own special way. I can’t begin to tell you how well organized Liz truly is… it’s almost like she is a secretary or something that has mad organizing skills and knows exactly how she wants things. I believe having the online wedding planning page was key with Liz as she had everything laid out from the personalized wedding introductions to the special songs and more. 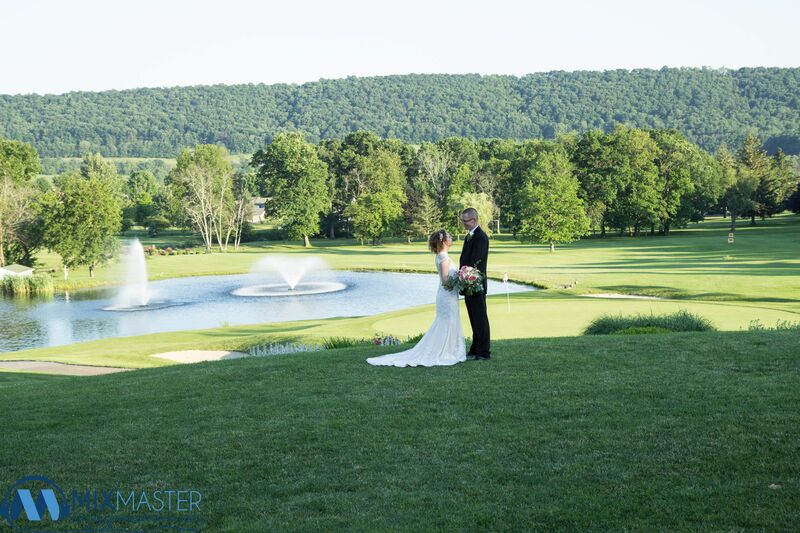 For their wedding I provided audio for the wedding ceremony which took place just outside the banquet room overlooking the beautiful pond. I also provided some extra special personal touches. Before the wedding I had the opportunity where I contacted Steve’s mom and I had asked why they chose the song they did for their dance together. Once I knew the reason I suggested doing something extra special and Steve’s mom was all for it… I recorded her voice with a special message to Steve that I would later embed into their song. Did I mention about the personalized wedding introductions for the wedding party? Each person must of had about a paragraph or so about them. Liz and Steve came up with most of those details and I just edited it down so it flowed together smoothly when reading it. For the wedding ceremony, I thought this was a bit different but it honestly was unique and awesome in its own special way. Liz’s father is ordained so her officiated the wedding and married Liz and Steve… Now tell me how is that for a fathers blessing? The ceremony must of went on for about 45 minutes or so because it has so many personal touches including Liz and some of her girls singing in which I provided all the microphones for. All in all a great and beautiful day. Check out the photos, video and sound clips below.